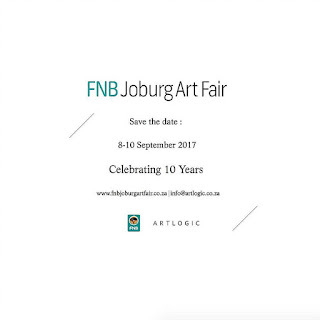 News | The Annual FNB Joburg Art Fair Celebrates Its Tenth Edition From 8 To 10 September 2017. The fair will feature over 60 exhibitions within five categories, including contemporary and modern art, solo presentations, limited editions and art platforms, with selected galleries and organisations hailing from eleven countries across Africa, Europe and the United States reports Wish Africa. Notably, six participants have exhibited in every FNB Joburg Art Fair edition since 2008, namely David Krut Projects, Goodman Gallery, Everard Read, Gallery MOMO and SMAC Gallery. The contemporary section will welcome MOV’ART, Luanda, exhibiting for the first time at the fair, while Addis Fine Art, Addis Ababa and Circle Art Agency, Nairobi joining the main contemporary section after their fair debut last year as part of the 2016 East Africa Focus. Other new exhibitors include 50ty/50ty, Johannesburg in Limited Editions, NWU Gallery, Potchefstroom and Under Ground Contemporary, Kampala in Art Platforms. The solo presentations are dominated by women this year, with six of the eight artists being female. South African artists include Sethembile Msezane – represented by Gallery MOMO, Johannesburg and Cape Town, Lady Skollie by Tyburn Gallery (London), Thenjiwe Niki Nkosi by the Mariane Ibrahim Gallery (Seattle) and Bronwyn Katz by blank projects, Cape Town. In Toto Gallery will showcase Ilana Seati, and SMAC Gallery will present a new body of Chemu Ng'ok’s work. SMITH Studios will exhibit a unique presentation of the collective HOICK and ELA - Espaço Luanda Arte will present António Ole. “The FNB Joburg Art Fair continues to play a significant role in discovering the value that artists bring to society and has earned a reputation as the ideal place for those interested in African contemporary art. As a proudly South African bank with roots that extend into several other countries on the African continent and further afield, First National Bank (FNB) helps to sustain the support of art through this prestigious annual event,” says Mari Van Niekerk, senior communication and sponsorship manager at FNB. Also exhibiting at the Fair for the first time, BMW will present a BMW 7 Series by Ndbele artist Esther Mahlangu. Twenty-six years ago, Mahlangu was the first woman to create artwork on a BMW 525i Sedan, and in 2016 she was once again commissioned to refine a BMW 7 Series, which was exhibited at the Frieze London art fair. 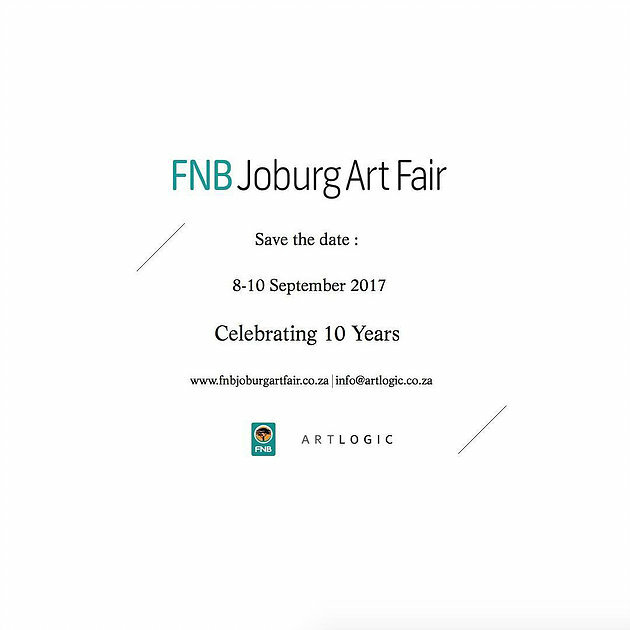 As always, the FNB JoburgArtFair has planned a vibrant and informative series of special projects and events. Lalela will host the Educational Programme and Artinsure will host the Art Tours. “We are excited to be involved in the walkabout program for the second year because it’s our goal to make art accessible. Professor Federico Freschi and Magkati Molebatsi will lead the walkabouts, giving art lovers an insight into some of the works on display,” says Gordon Massie, MD of Artinsure. This year, the addition of a film programme will be headlined by the Centre For the Less Good Idea, the brainchild of acclaimed South African artist William Kentridge. On Friday, 8 September, audiences can enjoy a specially curated selections of video works from The Centre Of The Less Good Idea’s first season, which will be projected on a large outdoor screen in Nelson Mandela Square. The Talks Programme will once again take place at the Theatre on Nelson Mandela Square and highlight the exciting content at this year’s Fair. Notably, the programme includes featured artist Robin Rhode and The Armory Show, New York, director Benjamin Genocchio – each delivering a keynote – as well as a conversation that looks at The School of Anxiety, a project by Moses Serubiri, showcased at the 10th Berlin Biennale.